Our Big Furry Deals for Black Friday continue all weekend long on 11/24 and 11/25! 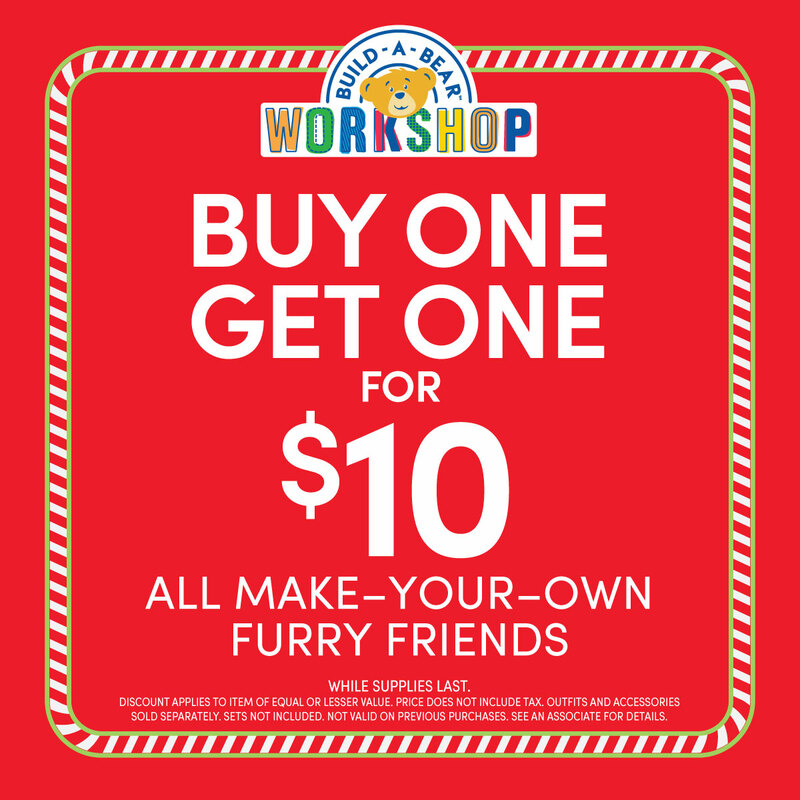 Keep the fun going with a special Build-A-Bear Workshop BOGO offer on ALL furry friends: Buy One, Get One for $10! While supplies last. Discount applies to item of equal or lesser value. Price does not include tax. Outfits and accessories sold separately. Sets not included. Not valid on previous purchases. See an associate for details.